"She is exceptionally clever and deeply committed to cases. She's a delight to work with." Jennifer MacLeod is a versatile junior with a practice that spans all areas of Chambers’ work, and is often instructed in matters raising issues in more than one field. She is recommended across a number of practice areas in Chambers & Partners, where recent comments describe her as a “very impressive junior”, “really clever and really personable”, “exceptionally clever and deeply committed to cases”, “a really excellent, straightforward communicator with a lovely friendly manner”, and a “delight to work with” (C&P 2018, C&P 2019). Jennifer is regularly instructed in complex and high-profile litigation. As well as numerous appearances in the High Court, Competition Appeal Tribunal (CAT) and the Court of Appeal, she has also appeared in the Supreme Court, the Court of Justice of the European Union (CJEU), the European Court of Human Rights (ECtHR), and other international tribunals. Jennifer acts for a range of clients, from multinational corporations to government and public bodies, NGOs and private individuals. Her practice entails a mixture of led work and work as sole advocate, both domestically and internationally. She is a member of the Attorney General’s C Panel. Jennifer has particular expertise in civil liberties and human rights, building on her experience in a range of human rights and development organisations prior to joining the Bar. She is regularly involved in both domestic and international challenges (including in the Supreme Court, the ECtHR, and UN Treaty Bodies). She has been involved in litigation covering an array of human rights violations; from systemic discrimination and violence against women, to the limits of the right to privacy; from the use of indiscriminate weaponry to commercial property rights claims. Jennifer has also acted for a wide range of clients. She undertakes extensive pro bono work, (including for NGOs and campaigning organisations as well as individuals), is a member of the Attorney General’s C Panel and is noted in the directories as being “sought after by both government bodies and private companies” (C&P, 2019). X v Poland (ECtHR) acting for ClientEarth in respect of an application to the ECtHR for a claimant who was refused standing to judicially review Poland’s Air Quality Plans (unled). Coppin v Ireland (Committee on the Convention against Torture) junior counsel for Elizabeth Coppin in her claim against Ireland for internment and mistreatment in Ireland’s Magdalene Laundries. K & CH v Russia (CEDAW Committee) counsel for the interveners, Equality Now, supporting the applicants in their claim that Russian laws on domestic violence (including the requirement for victims to bring private prosecutions) are discriminatory (unled). R (Omid T) v Ministry of Justice (Divisional Court) junior counsel for Omid T, challenging the legality of the prohibition on assisted dying for those with serious medical conditions who are unable to end their own lives (led by Paul Bowen QC). Tagayeva and others v Russia (ECtHR) a successful claim under Article 2 against Russia for its failures in relation to the Beslan hostage crisis (assisting Counsel at the European Human Rights Advocacy Centre). R (Japan Tobacco International and others) v Secretary of State for Health (High Court, Court of Appeal) representing the manufacturers of tobacco products in a challenge under A1P1 and Article 17 to the UK’s plain packaging regulations (led by David Anderson QC). X and Y v Georgia (CEDAW Committee) a successful claim against Georgia alleging systemic discrimination in relation to domestic violence victims. Mirga v Secretary of State for Work and Pensions, Samin v Westminster City Council (Supreme Court) represented the AIRE Centre, interveners in two claims which considered the extent of EU citizenship and the ‘right to reside’ (led by Marie Demetriou QC). Nicklinson v UK (ECtHR) represented Jane and Tony Nicklinson alleging breach of their procedural Article 8 rights in relation to the prohibition on assisted dying (led by Paul Bowen QC). Assisting and advising on cases before the ECtHR, including Barakhoyev and Keligov v Russia (abduction, torture and ill-treatment in North Ossetia) and Taganova & Esartia v Russia and Mamasakhlisi and other v Georgia and Russia (ethnic cleansing in Abkhazia). Assisted David Anderson QC in his Review of Investigatory Powers, involving consideration of surveillance, security and privacy law in the UK, EU and ECHR. Jennifer accepts instructions in all areas of Chambers’ commercial practice, and across a range of industry sectors. She maintains a flexible practice, and is equally at home cross-examining in the County Court, advising on multi-billion dollar claims in the Commercial Court, or making submissions in the higher courts. Afren Plc and others v Osman Shahenshah and others (High Court) defending a case for over $1bn arising out of the administration of an oil exploration company and involving claims of bribery (settled summer 2018) (led by Mark Howard QC and Fionn Pilbrow). CIGA v Thermabead (High Court, Court of Appeal) defending an application for a stay for arbitration under s9 of the Arbitration Act 1996 (settled spring 2019) (unled). BritNed v ABB (High Court, Court of Appeal) Representing the defendant in a five-week trial in the High Court on the quantum applicable to a breach of statutory duty for competition law infringements (led by Mark Hoskins QC and Sarah Ford QC). Bentley v GTI (High Court), an expedited trial arising out of a refusal to supply (settled March 2016) (led by Charles Hollander QC). Acting for claimants in injunction proceedings in the High Court on free movement and competition grounds (both led and unled). Advising on a number of claims arising out of aviation regulation (unled). Jennifer has a rising reputation in competition law, in which she is recommended by the directories. She acts both led and unled in the Competition Appeal Tribunal and the High Court, and has in the last twelve months appeared in the first pure excessive pricing case in the UK (Pfizer v CMA) as well as the first cartel damages trial (BritNed v ABB). She works on both standalone and follow-on claims, and is “noted for her work on a range of high value cartel actions” (C&P, 2018 & 2019), including on power cables, trucks, foam, air cargo, CRTs, envelopes, and interchange fees. She also has experience of abuse of dominance claims for defendants, authorities and claimants. Flynn and Pfizer v CMA (CAT, Court of Appeal) Junior counsel for the CMA in the appeal by pharmaceutical companies against the fine imposed for excessive pricing on anti-epileptic drugs (led by Mark Hoskins QC). BritNed v ABB; NGET v ABB (High Court, Court of Appeal) Representing the defendant in the first cartel damages trial over 5 weeks in the High Court, and on appeal (led by Mark Hoskins QC and Sarah Ford QC). Red & White Services Ltd v Phil Anslow Ltd (High Court) Acting unled for the defendant to a trespass claim raising defences of collusion and abuse of dominance (settled July 2018). Breasley Pillows v Vita and others; Hilding Anders and others v Vita and others (High Court, CAT) Representing the defendant in follow-on damages actions resulting from a foam cartel in both the CAT and the High Court (settled 2016) (led by Mark Hoskins QC). In particular, Jennifer acted unled in the first decision by the CAT on the fast-track procedure in follow-on damages actions. Acting for the defendant in abuse of dominance proceedings in Scotland (led by Fergus Randolph QC). Acting for claimants in injunction proceedings in the High Court on competition grounds (unled). Advising alleged cartelists in the funeral and medical services industries (unled). GTS Gaz Turbines v Rolls-Royce (High Court), a claim alleging dominance in the aftermarket (settled January 2015) (with a team led by Robert O’Donoghue). Jennifer is an able advocate with mounting experience of a wide range of EU law disputes, in which she is recommended in Chambers & Partners. As well as advising clients from an array of different industries, she regularly litigates issues entailing points of EU law in both the domestic and EU courts. She is comfortable dealing with intricate regulatory structures and has particular experience in pharmaceutical, intellectual property and free movement disputes. Govia Thameslink Railway Ltd v ASLEF (High Court, Court of Appeal), junior counsel for the owner of the Southern Rail franchise in a high-profile attempt to injunct a trade union on the basis of free movement rights (settled prior to determination of Supreme Court application). Bank Mellat v Council and others (CJEU) representing Bank Mellat in its appeal to the CJEU in relation to the imposition of general sanctions (led in a team including Richard Blakeley). R (Japan Tobacco International and others) v Secretary of State for Health (High Court, Court of Appeal) representing the manufacturers of tobacco products in a challenge to the UK’s plain packaging regulations (led by David Anderson QC). R (Philip Morris Brands SARL and others) v Secretary of State for Health (CJEU) representing JTI, interested parties in the challenge to the Second Tobacco Products Directive (led by James Flynn QC). R (LetterOne Holdings SA and others v Secretary of State for Energy and Climate Change) (High Court) a judicial review of the issuance of a Notice requiring a change of control of petroleum production licenses due to concerns regarding the sanctions regime (settled July 2015) (led by Mark Howard QC, Martin Chamberlain QC and Sarah Ford). Frade v Secretary of State for Work and Pensions (FTT, UT), a number of successful appeals in relation to a refusal to recognise the appellant’s ‘right to reside’ in the UK (unled). In Jennifer’s public law and competition practice she regularly deals with issues arising in the pharmaceutical sector. She recently acted as junior counsel for the CMA in Flynn and Pfizer v CMA (CAT), a month-long appeal by pharmaceutical companies against a fine imposed for excessive pricing on anti-epileptic drugs (led by Mark Hoskins QC). She has also advised a range of generic and originator companies in disputes arising out of issues to do with licensing/marketing authorisations, and in respect of competition issues. Jennifer has rapidly established an extensive public law practice at the Bar, and is frequently instructed in high-profile, complex and creative challenges. She is recommended in the directories as someone who is “frequently instructed in all types of judicial review” (C&P, 2019), and her led and unled work encompasses the full ambit of public law: from judicial reviews entailing multifaceted elements of EU or pharmaceutical law; to human rights claims in the international courts; as well as acting in a wide range of tribunals, inquests, and claims against public bodies. Jennifer is a member of the Attorney General’s C Panel and is noted in the directories as being “sought after by both government bodies and private companies” (C&P, 2019). She has acted for a range of commercial bodies, particularly in multifaceted regulatory matters involving elements of international and EU law. Many of these claims require a consideration of the rights of such bodies and entail A1P1, intellectual property, licensing and free movement issues. As set out above, Jennifer also has particular expertise in human rights and civil liberties, building on her experience prior to coming to the Bar. She undertakes extensive pro bono work, including for NGOs and campaigning organisations as well as individuals. R (ICAEW) v Lord Chancellor (Divisional Court) successful defence of a judicial review in relation to the Lord Chancellor’s decision to refuse to authorise the ICAEW as an approved regulator for legal services (led by Victoria Wakefield). R (Omid T) v Ministry of Justice (Divisional Court) junior counsel for Omid, challenging the legality of the prohibition on assisted dying for those with serious medical conditions who are unable to end their own lives (led by Paul Bowen QC). Jennifer’s public law and human rights practice necessarily entails significant issues of public international law. In both her domestic and her international work, she is often asked to advise and act on issues of public international law. 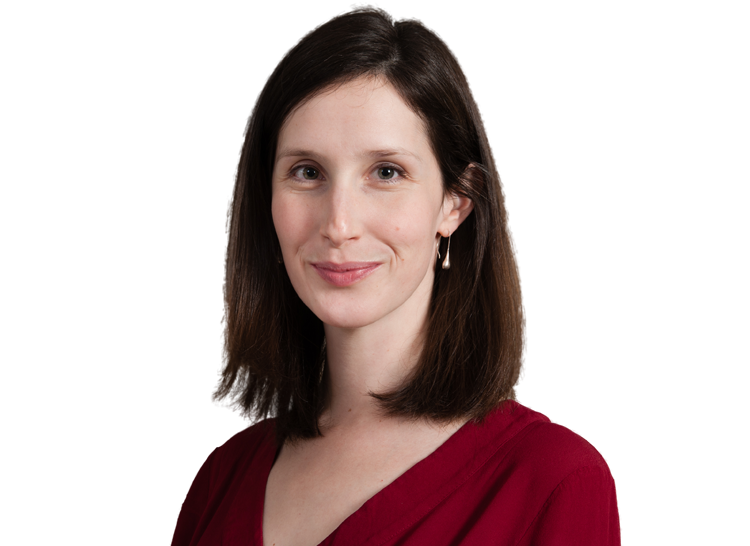 Jennifer has particular expertise in international human rights, and she has been instructed both led and unled before the UN treaty bodies such as the CEDAW Committee and the CAT as well as the ECtHR. She also has experience in acting for commercial bodies in domestic and EU challenges based on rules of international law. X v Poland (ECtHR) acting for ClientEarth in respect of an application to the ECtHR for a claimant who was refused standing to judicially review Poland’s Air Quality Plans. K & CH v Russia (CEDAW Committee) sole counsel for the interveners, Equality Now, supporting the applicants in their claim that Russian laws on domestic violence (including the requirement for victims to bring private prosecutions) are discriminatory. Tagayeva and others v Russia (ECtHR) a successful claim under Article 2 against Russia for its failures in relation to the Beslan hostage crisis, including issues of international humanitarian law (assisting Counsel at the European Human Rights Advocacy Centre). R (Japan Tobacco International and others) v Secretary of State for Health (High Court, Court of Appeal) representing the manufacturers of tobacco products in a challenge to the UK’s plain packaging regulations, including challenges on the basis of international law (led by David Anderson QC). "Very thoughtful and measured, she produces excellent written work." "She listens carefully, helps identify the best strategic approach, and is clear in setting expectations and ensuring everyone is on the same page. She's a really excellent, straightforward communicator with a lovely friendly manner." (Chambers & Partners, Administrative & Public Law, 2019). "An excellent prospect for the future who is really clever and really personable." (Chambers & Partners, Competition Law, UK & Global 2019). "She is a very switched-on, up-and-coming junior." (Chambers & Partners, EU Law, 2019).